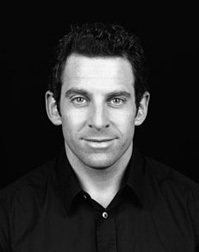 Sam Harris is an American non-fiction writer and CEO of Project Reason. He is also a proponent of scientific skepticism and is the author of The End of Faith (2004), which won the 2005 PEN/Martha Albrand Award, and Letter to a Christian Nation (2006), a rejoinder to the criticism his first book attracted. Harris attended Stanford University as an English major, but dropped out of school. Harris has recently talked publicly about experimenting with MDMA as a student and the powerful insights he felt it gave him into spirituality and psychology. He also has studied with "several meditation masters" in the Buddhist traditions. After eleven years he returned to Stanford and completed a B.A. degree in philosophy. In 2009 he obtained a Ph.D. degree in neuroscience at University of California, Los Angeles, using functional magnetic resonance imaging to conduct research into the neural basis of belief, disbelief, and uncertainty. If history reveals any categorical truth, it is that an insufficient taste for evidence regularly brings out the worst in us. Surely there must come a time when we will acknowledge the obvious; theology is now little more than a branch of human ignorance. While religious faith is the one species of human ignorance which will not even admit of the possiblity of correction, it is sheltered from criticism in every corner of our culture. This world is simply ablaze with bad ideas. It is time we realized that to presume knowledge where one has only pious hope is a species of evil. Wherever conviction grows in inverse proportion to its justification, we have lost the very basis of human cooperation. The God of Abraham is not only unworthy of the immensity of creation, he is unworthy even of man. The only angels we need invoke are those of our better nature: reason, honesty and love. Questions of their plausibility aside, the mutual incompatibility of our religious beliefs renders them suspect in principle. As Bertrand Russell observed, even if we were to grant that one of our religions must be correct in its every particular, given the number of conflicting views on offer, every believer should expect damnation on mere probabilistic grounds.